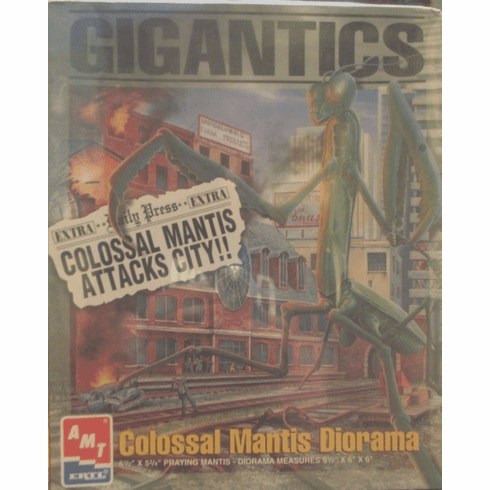 AMT Gigantics Colossal Mantis Diorama Model Kit is 9.5" x 6" x 6" once completed. This item comes unassembled and unpainted. Released in 1996.